The booklet contains the series of 17 graphic scores that Llorenç Barber created in Yokohama (Japan) in 2005. The series brings together the visual exercises and/or pastimes that the composer compiled in a small notebook as he worked on Pocket Naumaquia, the closing concert of the International Triennale of Contemporary Art (ITCA) in December 2005. For this publication Barber has used these graphic notations as inspiration to write 17 texts that, like a game, readers can link to any score they wish. 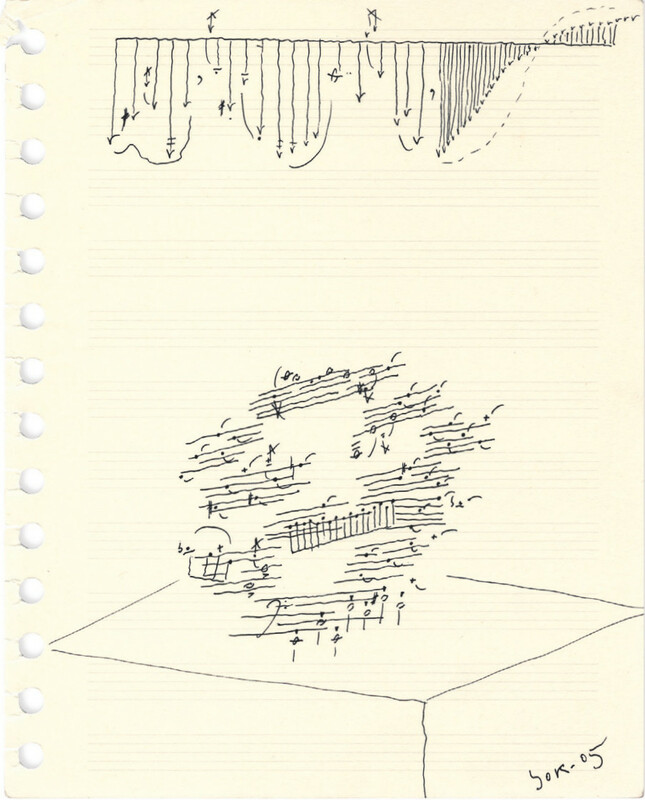 Llorenç Barber’s work is also reflected in the monograph on his artistic career in episode two of the AVANT series and a major selection of his graphic scores was displayed as part the exhibition Possibility of Action: the Life of the Score in 2008.